It’s never too late to restore or enhance a treasured photograph. 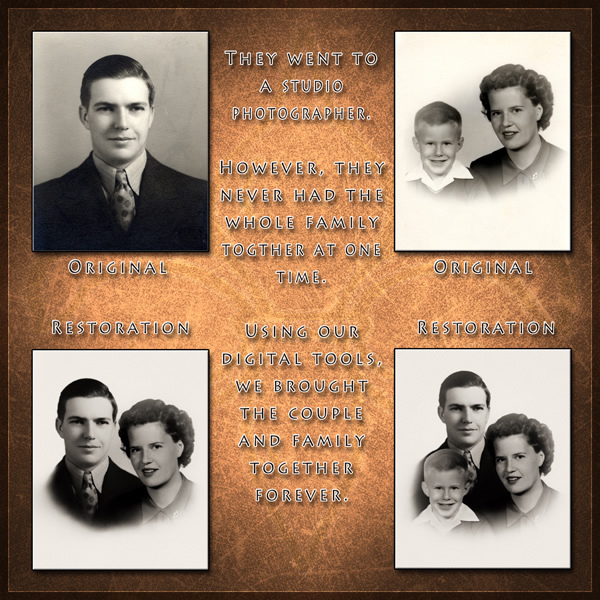 We can bring your old or damaged photographs back to life. We will schedule a session to review your photos and discuss what you want. Isolate a single image from a photograph. Call for Free a Consultation 707.745.3600!